Okay. Day thirty-five and I’ve finally doused my fire of vanity! Yes, I’ve donned my reading glasses, and zoomed in on the font on my computer screen. Maybe I won’t have a raging headache today. What I goof-head I am. I can actually read the words I’m typing now, without squinting. This morning, I have a lot of deep, philosophical jargon pinging around in Sir Brain. LV is in her pleated secretarial skirt, pacing about, taking notes, while wearing her studious glasses and practical shoes; (you might want to press my lingo button). I was holding out for Crazy Frog this morning, but I think he is still away with the fairies, which leaves Little Me pretty much holding down the fort. Which is a bit scary, as this new form of thought has been emerging that I cannot quite pinpoint, but that seems liken to a black-caped, masculine-feminine entity, that hides in the dark behind trees, wears a mask, and carries various weapons of Sir-Brain destruction. I don’t have a name for her, but I think she’s the aspect of me that is responsible for explosive negative thoughts, that send me stumbling down the hole of self-destruction—the one who tells me I’m stupid for writing a blog, for exposing myself to the dangers of anything and anyone outside myself, and for thinking I have anything of substance to offer anyone. She is the barrier in the road, the stop guard with the automatic weapon that warns me to get out of my vehicle and stop moving, or she’ll shoot. I don’t know what she has to gain from acting the way she does. But there must be some motive. She was with me most of the day yesterday. To the point I didn’t feel I had my footing in reality anymore. She was satisfied with the amount of time I’d been hiding in the house, refusing the act of even going to the grocery store or of taking a walk with my dog. She isn’t depression. Depression doesn’t feel like an entity. Depression feels like a mass of fog that settles down upon me and leaves me temporarily disoriented and blinded, momentarily stunted in my ability to move. No, she, this entity, that I shall name Phantom Eknow (eee-no)—for Entity unKnown—is definitely more than a feeling or fog. She is there somewhere, always waiting and watching, even in my happiest moments. She’s been there since I was a little girl. I remember laughing in my youth, and enjoying my day, while all the while wondering when the pain would resurface, the misery, the fear. It is an odd sensation, talking about her with anyone. Especially as she is surfacing just as I am writing these words. I almost feel shameful, but not entirely shameful, because I’m holding out thinking someone will understand, and maybe be able to see their dark-caped entity, too. That makes this seem worthwhile, this confession and sharing of sorts, the knowing that I am reaching out from this small place in which I live and breathing words into another human being in hopes of contact, connection, and shared understanding. Part of the human isolation happening in the world right now is because of the fear of sharing our whole selves. So much is fear-based, that the very thought of being anyone but who someone else wants an individual to be is paralyzing the masses. So many are looking for a leader, a guide, a way, the answer, without taking the time to go within. The fact that I almost feel shamed in sharing a darker element of myself is proof enough for me that a real oppression of authenticity exists. There seems to be two polar extremes in our world; all I have to do is tune into a reality show; which I don’t do, to view the extremes. There are always the crazed people doing terribly disturbing acts or the fake people dressed in garbs imitating idols. It appears, many are immolating their inner being and light out of a fear of not being seen. When in actuality, the representation they are showing other beings is not a clear representation of who they are to begin with. I wonder how many of us have PHANTOMS that we hide? Phantoms that are all caps, all capital letters, lurching inside, that we go on pretending aren’t there. I wonder if we brought them into the light and listened, what we would learn. Here is my Phantom. Here she is. Here I offer, to you, Phantom: the substance of what some people label my imperfections. Why is it so many are trapped in this game of showing all their high cards, in hopes of recognition, while burying all their low cards in the dirt? What is it that makes a person trust another when they show their high cards, but makes them want to run away when exposed to the low cards? To me, the trust is found in showing what is hidden, not sharing what has been shared a thousand-times over. If I dig up everything and expose what was once hidden in the darkness, then what is left to fear in me? What is left for others to fear? If I am first and foremost authentic and genuine, and have nothing left hidden, then where can fear hide? There is nothing to fear in being me, but this fear would like me to think so. The fear would like me to fret the plausible pains of exposing my true self, so that the fear can perpetuate its very own existence. So many people talk about change. So many point fingers and blame. Yet, so many forget to look within—to take out the Phantom, to take out the power, to sit with the fear-based entity and listen to his or her story. No wonder, that to me, and many others, the world often appears one giant masquerade ball—with the bug-filled wigs, restrictive corsets, and elaborate masks. For that is what the world is, at times, the majority seemingly set out in a dance of deception, where their true fear remains buried, and the pretend, disguised entity continues to twirl round and round. I imagine a ball without the masks, where I am spinning with my phantom, twirling and twirling, and with each turn decreasing Phantom in size, until she becomes so small and obsolete that she returns happily into the unknown from whence she came. I imagine an endless room full of people spinning with their Phantom, until we are all left without a partner, and have no choice but to join hands together, and at last truly dance. * I have to laugh, my original post (dyslexia) said Lost in the Mascaraed—which means lost in the eye makeup. Crazy Frog returns! Looking for words to say? To me, quite a bit of this post comes down to “social niceties”. The fear of which you speak seems to be a guard of sorts for your social interactions with others. The focus you place in trying to understand this part of yourself – to me- sounds more like the fear of social isolation. Why can’t you say these things? What holds you back? I have a voice like this – if we are talking about the same thing, and I may be missing the mark here, but I understand that most people are unwilling or afraid to face what those voices will say no matter how real or true the voices are because, often, hearing what is true is scarier than continuing the masquerade. You are no different than me in hearing that voice ask you why expose yourself and your thoughts openly in a blog post and suffer potential rejection but just like you, and so many others, we weigh the fear against what can be gained and overcome that fear. For what it’s worth, I find what you are saying very interesting, thought provoking and well said. “…most people are unwilling or afraid to face what those voices will say no matter how real or true the voices are because, often, hearing what is true is scarier than continuing the masquerade.” I found this sentence very powerful and poetic. I am repeatedly afraid to face the voice, but when I do, I am better and stronger for the experience. I think a lot of people are tired of the masquerade, and a lot “weigh the fear against what can be gained and overcome that fear.” In fact in sharing this post, I imagine there are many people who feel the same way as I expressed, whether they are actively aware, just noticing, or in a place of still not understanding. I hear you, not many will share about this. I’m glad you have because it helps so many other Aspies/Auties to relate. This entity you speak of is what takes us into hiding. But it is very real, it’s not just a thought for us, it is a dominant persona. I have read half way through and I call this loop my “Not Knowing” She is a collection of negative and questions, accusations and unsolved puzzles. For me she lurks and in her lonely state wants to drag all of me down to the bottom of the pit. I allow her to write but not many of her posts make it to my blog, just my journal. I do take parts of her and add her to posts once I have ascended from the darkness and the quiet I am so not used to. This is one post that I did publish, written from that place. This was written after I had to leave my job, a job that I loved until my department, routine and work colleagues all changed. I enjoy your posts, you help me remember old posts I have worked through. 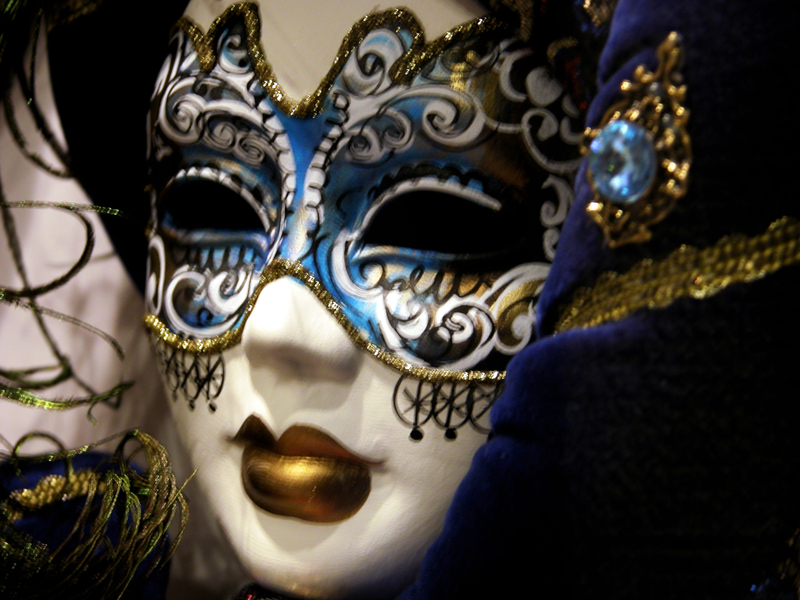 There are a couple of poems about my masks on my poetry blog too. My “Not Knowing” loop seems to switch all my more positive loops off. I have found that the tears are healing and a release for whatever “Not Knowing” is trying to find. Also if I allow myself to go into shutdown before she drags me there I come out quicker. Love and hugs my friend. Hi there, what helps me is to get quiet time each day. A time to allow the “Not Knowing” to ask questions which I write down. Sometimes I have to brainstorm this or do a reflective journal but just get them out so they don’t bug and jumble my brain all day. I know I have written a post about this but I can’t remember what it was called. If I do I’ll pass it on. If the “Not Knowing” comes on quickly it’s usually because I have absorbed an emotion from someone around me. It’s a confusion that becomes the dominant loop. It can become my “Frantic thought loop” at times. I wrote a post not long ago about placing this back into the box. Giving the emotions and confusion back to its original origin. I do this through prayer and imagination. I think for me it is about letting myself be me. Listening to my inner voice and following my body in its understanding. I know I don’t want to bring others down, so I allow myself now to accept that this is how I am created to work. My kids know that if I go to my prayer chair it’s because I need to process, filter, replace and own what is or isn’t mine. This helps me, I still have the shutdowns but I’m finding ways forward. I can’t read medical books so I do rely on friendships and my faith. I had to overcome my fear of sharing the darker parts of me as well. I still feel the tinge of fear when I do, but I also feel the release at the end. I used to call mine “Dark Angel”, but I no longer do that though. It implies a negative tone toward myself and that is from other peoples words. It does not represent the true me. Instead I now have various blogs to represent certain aspects of me. I found that when I separated the parts of me that I had not been accepting or allowing to speak, I was able to integrate those parts of me and begin to accept them through letting them write with no holds barred. And without shame, or fear. Though I am still working on that. Sam: I think there are a lot of “selves” inside each of us: light, dark; good, bad; ugly, beautiful; creative, destructive. I agree with you that we all have our phantoms and we might as well recognize that fact and deal with it.